· Click on File< Options(点击左上角的“文件”–>“选项”). 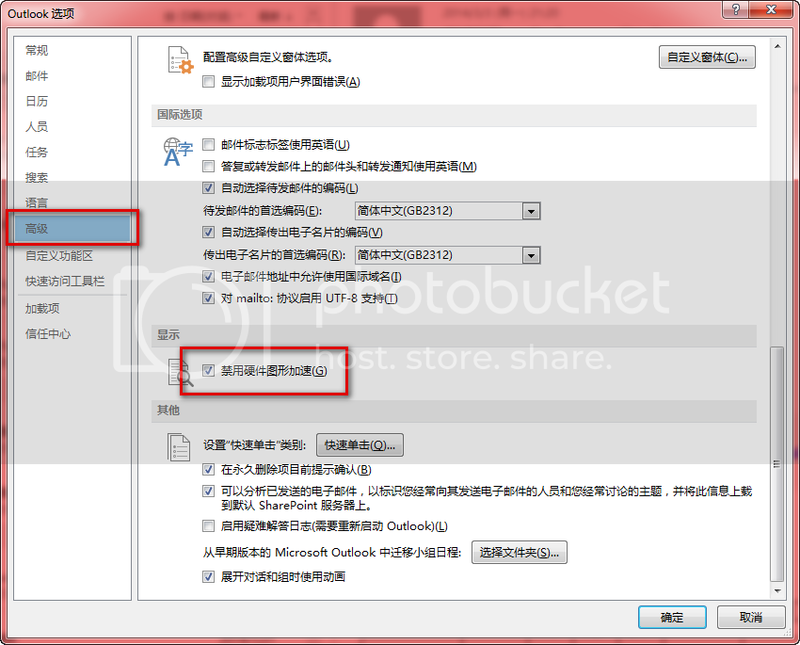 · In Outlook Options window click on Advanced option(在"选项"中找到"高级"). · On the right hand side of the page under Display group check the option Disable Hardware Graphics Acceleration(把“禁用硬件图形加速”打上勾). · Now check if Outlook works fine（重启Outlook，看下问题是不是解决了。）. THANKS A LOT! I met the same problem and your experience is very helpful!